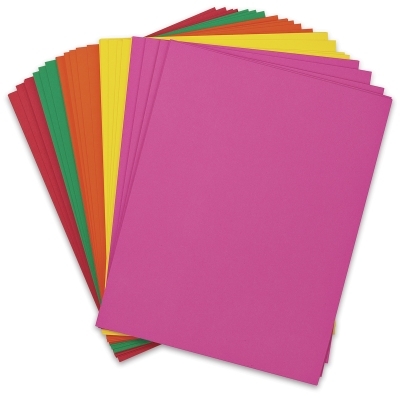 Pacon Card Stock is a heavyweight, acid-free cardstock that is perfect for greeting cards, postcards, report covers, rubber stamping, memory books, flyers, announcements, and more. This versatile white cardstock is compatible with photocopiers, inkjet printers, and laser printers. Includes 20 each of 5 colors, including Emerald Green, Rojo Red, Lemon Yellow, Pumpkin and Hot Pink.